The Parrot AR Drone has the technology of some of the big boys in the quadcopter arena, but the price of an entry level drone. This combo makes this a hard deal to pass up. 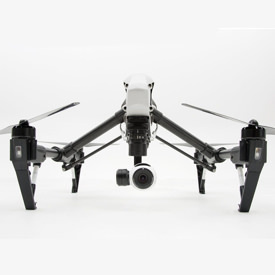 Some of the most impressive features are the ultrasound and camera sensors on the bottom of the drone. They are used to help stabilize the drone, measure height off the ground and speed. Then there is the GPS Flight Recorder, which can be used with the AR.Freeflight app to plot out your path on a map. This is a feature rarely found on a drone under $500. 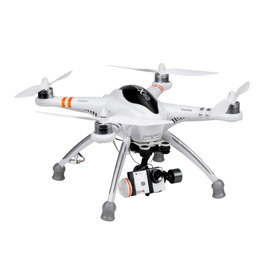 The built in 720p HD camera provides real time FPV and allows you to record to a memory stick or your smart device. You can also switch between the main camera and the bottom mounted camera. This AR Drone also comes with four brushless motors. Brushless motors tend to last longer, cost more and are mostly used by the more expensive quadcopters on the market. The Parrot AR Drone has got features that you just would not expect to find on a quad in this price range. 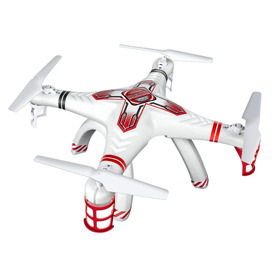 The most notable feature of this quadcopter is the on-board technology, the brains of the drone. 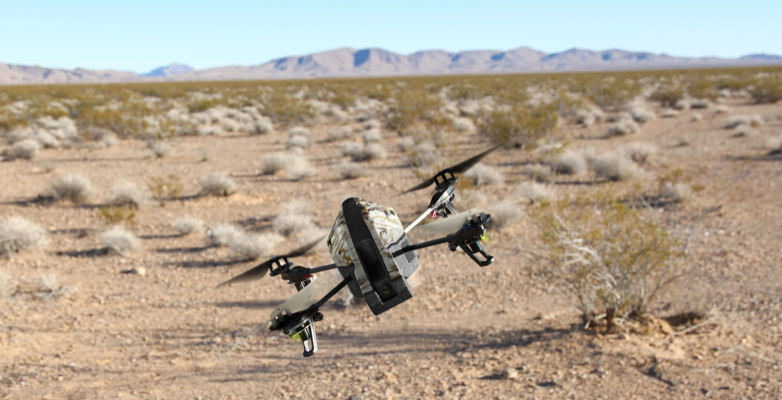 It has a 3 axis gyroscope, a 3 axis accelerometer and a 3 axis magnetometer that work together to keep the AR Drone stable and responsive. On the bottom of this quad there are ultrasound sensors that are used to measure altitude and a second camera that’s used to measure ground speed. The built-in camera is not professional level, but it’s good enough to take some decent video. It’s a 720p HD camera with a wide-angle lens. 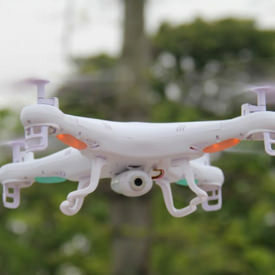 The camera is attached to the body of the AR Parrot Drone, so there is some camera shake from the movement of the quadcopter. And even though the camera is set at a 92º angle, it’s hard to keep something in frame while trying to maintain position. All AR Drones come equipped with 4 brushless motors. Brushless motors are advantageous because they are less likely to run hot and burn out. This is a huge bonus that is normally found on more expensive quads. The Ar.Freeflight app is all that is needed to fly the Parrot AR Drone. The app gives you a real-time video feed, and all the controls you’ll need to operate your drone. The drawback is that your smart phone or tablet needs to connect via WiFi, so range is limited to about 100 feet. There are also reports of people losing the connection to the drone and it flying off. Pulling this drone out of the box will quickly reveal how Parrot is able to sell the AR Drone for such a low price. The entire body shell, and the indoor guard, is made of Styrofoam. 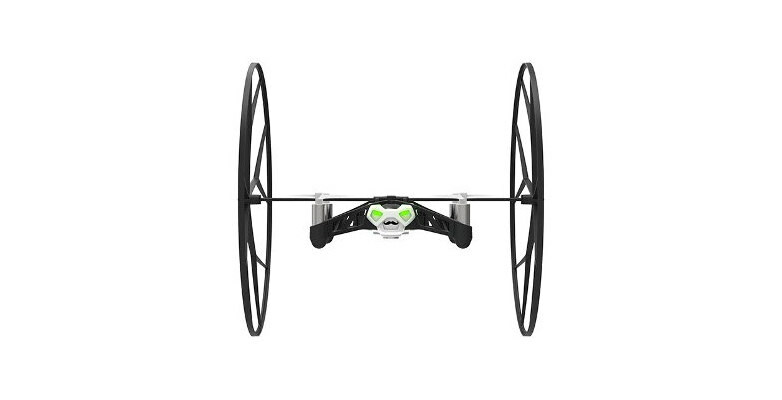 This is not unique to the Parrot AR Drone, but it is for one in this price range. The material used is arguably lighter and more shock absorbent and durable than hard plastic, but it just has a very cheap feel to it. The arms that lead to the propellers are made of a strong carbon fiber though. The battery that comes with the Parrot AR Drone will last somewhere between 10 to 15 minutes depending on use and wind speed. If you’re anything like me, I recommend buying at least one more battery because that is not enough flight time. Overall, this is great drone to learn on before upgrading to one of the more expensive models. It’s packed with features that won’t drain your bank account. 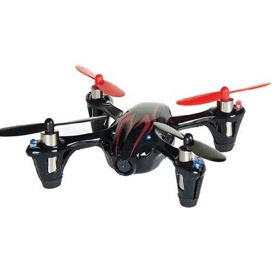 Although the Supernova Spy Drone comes with a 720p video camera, is it worth your hard earned cash? Does it live up to its price, or does it fall flat?